Question - What is branding, packaging, and labelling in marketing? There are millions of products and services all over the world, each claims to be the best among their category. But, every product is not equally popular. Consumer doesn't remember every product, only few products are remembered by their name, logo, or slogan. Such products generate desired emotions in the mind of consumer. 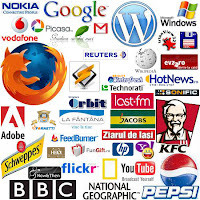 It is branding that makes product popular and known in the market; branding is not an activity that can be done overnight, it might takes months and even years to create a loyal and reputed brand. Branding gives personality to a product; packaging and labelling put a face on the product. Effective packaging and labelling work as selling tools that help marketer sell the product. Today in this post we'll learn - meaning of branding, types of brand, strategies of branding, meaning of packaging and labelling, and importance of packaging and labelling. Brand Mark - It is a unique symbol, colouring, lettering, or other design element. It is visually recognisable, not necessary to be pronounced. For example - Apple's apple, or Coca-cola's cursive typeface. What is difference between positioning and branding?